GENASYS HF MultiMatrix Switch Card | Marvin Test Solutions, Inc.
A component of the GENASYS switching subsystem, the GX6192 switch card is one of several different switch cards which can be installed in the GX7016 or GX7017 chassis. The GENASYS switching subsystem offers a new level of high performance, high density switching for board and system level functional test. Based on the 6U PXI architecture, the GENASSY architecture incorporates a modular switch matrix and multiplexer architecture which supports up to 4608 multiplexed, hybrid I/O pins. Up to 128 external resources can be connected to any of the test system’s receiver I/O pins via a high performance, internal 16 wire matrix bus. For high frequency switching applications, the GX6192 offers 192 connections to the receiver interface. The GX7016 and GX7017 chassis incorporate the MAC Panel 6U SCOUT receiver with each switch card providing a “cable-less” connection to the receiver connectors, - eliminating the need for cable harnesses and the associated reliability issues that come with cabled solutions. The result is a system interconnect design that is cost effective, reliable, and maintainable. The GX6192 provides signal routing from the GX7016's or GX7017's internal backplane to the receiver interface as well as providing an alternate, high bandwidth connection to 16 external instrumentation resources. 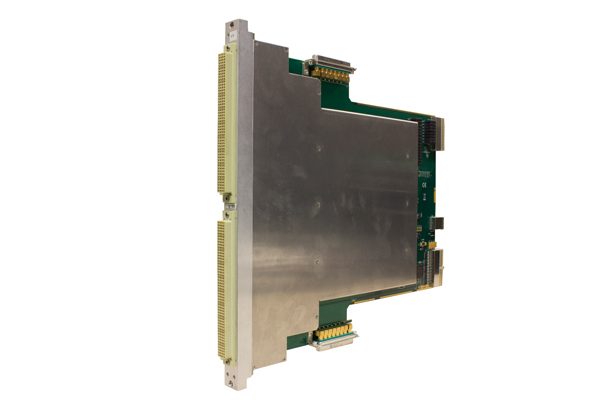 The GX6192 MultiMatrix™ switch card is an extended 6U PXI module with direct connection to the receiver interface. The module combines a 16x16 matrix with (16) 1x12 multiplexers, providing a total of 192 high performance I/O pins at the receiver interface. HF resources are connected directly to the GX6192 via an external connector. In addition signals can be routed to / from the HF switch card to other switch cards in the system via the system’s internal 16 wire bus.